BMUFOR: Are Wendelle Stevens' claims on CIA involvement and other paranormal events during Billy Meier investigation true? During their investigation into the Billy Meier case, Wendelle Stevens, Tom Welsch, Lee & Brit Elders have made many trips to the FIGU center in Switzerland. According to Wendelle Stevens, the intelligence services of many countries - Switzerland, West Germany, East Germany, France, US, UK, Austria, Czechoslvakia, USSR, etc. - were also very interested in the Meier case and their investigation, and that their investigation team had many encounters with them. Wendelle also reported many strange things that were happening during their trips to Switzerland, some of which according to him seemed to have been arranged by the intelligence agencies, others so strange and unexplainable that they could probably only have been caused by the Pleiadians/Plejaren. The activities of these intelligence agencies and other issues are also described in an article published in 2012 in UFO Digest titled 'Billy Meier and the CIA' (Part 1 & Part 2). Is there any truth to these claims of Wendelle Stevens, which are being used as one of the strong evidences that supports the authenticity of the Meier case? "Over the years, many people or groups have investigated the Meier case and came to very different conclusions on the authenticity of the case, which is not surprising considering the quantity, quality and variety of evidence. Some people or groups have investigated several aspects of the case, while others focused on only a few particular aspects, mostly the photo and video material. We’ve listed the most prominent research initiatives in a more or less chronological order, including our own ‘investigation into previous investigation’ and any communication we’ve had with other researchers etc." "Now of course the skeptics and debunkers will really have to work hard to tell us just how Meier “hoaxed” his advance knowledge of…so many things. 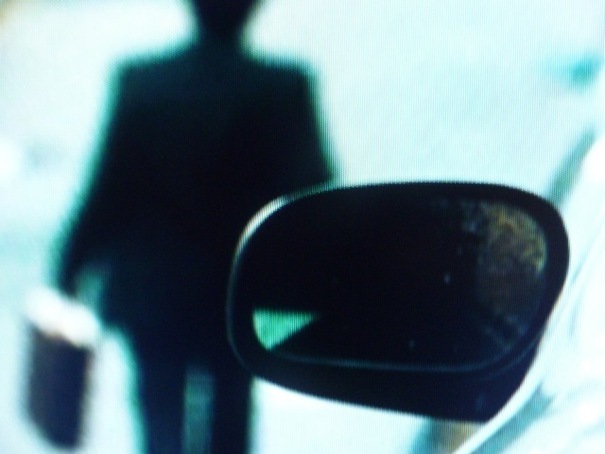 He couldn’t just be – telling the truth about his 73-year-long contact with the Plejaren extraterrestrial human race, could he?" Should one "really have to work hard" to tell that this corroboration claim is a bogus one ? This alleged corroboration claim just like the previous ones which have been demonstrated on BMUFOR website and on this blog page, will be revealed below as nothing but pseduo-scientific claims. Now let us analyze the claims made by Michael Horn. In his article, Michael Horn made two claims. This “new discovery” apparently wasn’t so new to the Plejaren, as Ptaah mentions “enormous masses of water also located in the interior of the earth” in his discussion about numerous terrestrial matters with Billy Meier in the 540th Contact, on May 19, 2012…two years before this “new discovery”." "A reservoir of water three times the volume of all the oceans has been discovered deep beneath the Earth's surface. The finding could help explain where Earth's seas came from. The water is hidden inside a blue rock called ringwoodite that lies 700 kilometres underground in the mantle, the layer of hot rock between Earth's surface and its core." ...Then, however, I have here one more question on account of the earth's magnetism, which for a long time already, should become increasingly weaker. Can you tell me the reason for this? In CR 540, ET Ptaah just says "enormous masses of water" but he didn't specify how many times the quantity of earth oceans (NewScientist says 3 times) is present inside the Earth. Also he didn't specify the region, the distance from the Earth's surface where this "ocean" region (NewScientist says around 700 kms in Mantle layer) is located. Remember, the radius of the Earth is 6,371 km (3,959 miles). So objectively speaking, Meier's information in CR 540 is pretty vague and nowhere does it reveal any specific, unambiguous information (strong enough to prove Meier's claims), as was published in the NewScientist article. Even if we grant some weight to Michael's claim of corroboration, none other than Billy Meier/FIGU "debunks" Michael Horn's claims. How? In Plejadisch-plejarische Kontaktberichte Block 6, page 50, a newspaper article - Viel Wasser im Erdmantel (A lot of water in the Earth’s mantle) - originally published in Tages-Anzeiger, Zürich, Tuesday, June 10, 2003 was presented. "The Earth’s mantle isn’t dry as previously assumed, but may also contain large amounts of water in deeper layers. ETH-researchers of the Institute of Geophysics found corresponding evidence ("Science", Vol. 300, pg. 1556). Their new measurement data supports the theory that at a depth of 410 kilometers water molecules are incorporated into the mineral layers. Until then the consensus was that this was only the case in the upper layers of the Earth’s mantle. If their assumptions are confirmed, according to the researchers, a water reservoir twice as large as the oceans would be stored. This finding is useful for geologists: they can draw conclusions about underground movements throughout history." This 2003 article clearly refutes Michael's claim of corroboration of CR 540, 2012 information by using the 2014 article as evidence. ...And as you explained, water is not only stored in the upper Earth’s layers, but even hundreds of kilometres deep within the Earths mantle within certain rock layers etc., and in such large amounts that it exceeds the mass of all the water on the Earth’s surface. 434. That is of correctness. Information in this CR 230 is far more specific relative to the CR 540 which Michael uses as source for his claims. In CR 230 we have Meier at least pointing out the layer (Mantle) in which this large amount of water would be present and also vaguely the quantity (exceeds the water on Earth's surface), though he didn't specify the region (in kms) from the surface of the Earth where this water would be. Can Michael now use CR 230 instead of CR 540 as source for his corroboration claims ? No, because CR 230 was for the first time published in Plejadisch-plejarische Kontaktberichte Block 6 in 2005 and the Tages-Anzeiger article was from 2003. Even though this information was published for the first time in year 2005 in PPKB 6, let us for a moment, consider the year 1989 (CR 230) - the alleged year in which Meier & ET Quetzal shared this information - as the baseline for our analysis. Is Meier the first person to suggest that the masses of water are inside Earth's mantle ? As this 1987 science paper - β-MgrSiOo: A potential host for water in the mantle? - clearly indicates in its title. It even goes back to the year 1975. "Alternatively, various estimates based on planetary accretion models and geochemical mass-balance observations suggest a bulk amount of water in the entire mantle of between three and six ocean masses 21, 22. 53. The Earth’s core, thus the center of the Earth, is not simply a solid mass, as is erroneously supposed by the earthly scientists; rather, it is a core that is similar to what the Sun is in its entirety." "A new study in Science suggests that the temperature of our planet's core is much, much hotter than previously thought -- 6,000 degrees Kelvin, compared with earlier estimations that were closer to 5,000 degrees Kelvin. This temperature, blazing hot to a degree beyond comprehension, is the same as that of the surface of the sun." I don't know how Michael connected the verse 53 from Contact Report 212 (1986) to the 2013 article as the verse 53 nowhere suggests anything about temperature, not to say the temperature of Earth's inner core and the surface of Sun as being equal. It just says that the Earth's core is similar to the Sun, which is once again very vague in its description. What features of the Sun and Earth's core are being referred to by Quetzal ? Pressure, density, composition, luminosity, temperature, etc ? 53. 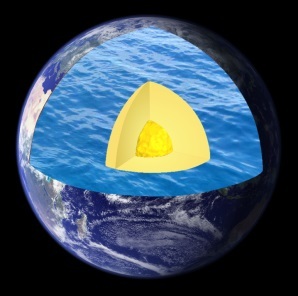 The Earth’s core, thus the center of the Earth, is not simply a solid mass, as is erroneously supposed by the earthly scientists; rather, it is a core that is similar to what the Sun is in its entirety. So it’s a bubbling, nuclear furnace. 54. That is a good comparison. So both Meier and Quetzal seems to suggest that the nuclear processes that happen in the Earth's core are similar to those that happen in Sun. In Sun, nuclear fusion takes place. "In nuclear physics, nuclear fusion is a is a nuclear reaction in which two or more atomic nuclei collide at a very high speed and join to form a new type of atomic nucleus. During this process, matter is not conserved because some of the matter of the fusing nuclei is converted to photons (energy). Fusion is the process that powers active or "main sequence" stars." 2. The elemental components are not right. Fusion is the combination of lighter elements to produce a heavier element. In doing so it releases energy. This is how stars work. As the atomic number increases the amount of energy released becomes smaller, until you get to iron. After this point you have to add energy to fuse to elements together. The core of the Earth is made up of heavy elements that will not fuse. However some of these elements are unstable and will undergo fission; atomic number becomes smaller. It is the decay of these elements that keeps the interior of the Earth warm." "If an object has a mass of 0.084 times the mass of our own sun (85 times the mass of Jupiter) the core reaches a point where it can start the process of nuclear fusion in its core (see fig.1). If the mass is smaller than this, the lowest temperature to support nuclear fusion will never be reached and the object will never shine like a star." We have shown that Michael Horn’s extravagant claims are largely based on wishful thinking, unproven presuppositions and ignorance of even the FIGU material itself, rather then objectivity, critical thinking and decent research. He doesn't seem to realize these articles and claims do not at all add to the credibility of the case, but rather give the impression of propaganda fueled by blind belief, at least to anyone who spends even a few minutes to check any of his claims. James W. Deardorff (Jim) died on 12/28/14 of lung cancer at the age of 86, despite never having smoked. Jim was born on 8/28/28, the middle of three children to Ralph and Mary Deardorff in Seattle. He was raised in Portland and graduated from Lincoln High School. He spent his freshman year at Reed College then transferred to Stanford to participate in an NROTC scholarship. He spent his fourth year at UCLA studying all the prerequisites for graduate meteorology. After serving 3 years in the Navy he studied graduate meteorology courses at University of Washington, where he received his PhD in 1959. After working on an air-sea interaction project at U of W, he obtained a job at the newly established National Center for Atmospheric Research (NCAR) in Boulder, CO in 1962. It was at UCLA where he first became involved with folk dancing, and at a dance at the U of W he met his wife, Leona. They were soon married and raised 3 daughters. Over the next 54 years they enjoyed folk dancing and hiking. Leona preceded him in death in 2010. Jim spent a rewarding 16 years at NCAR as a senior scientist specializing in thermal convection, turbulence and diffusion within the planetary boundary layer. 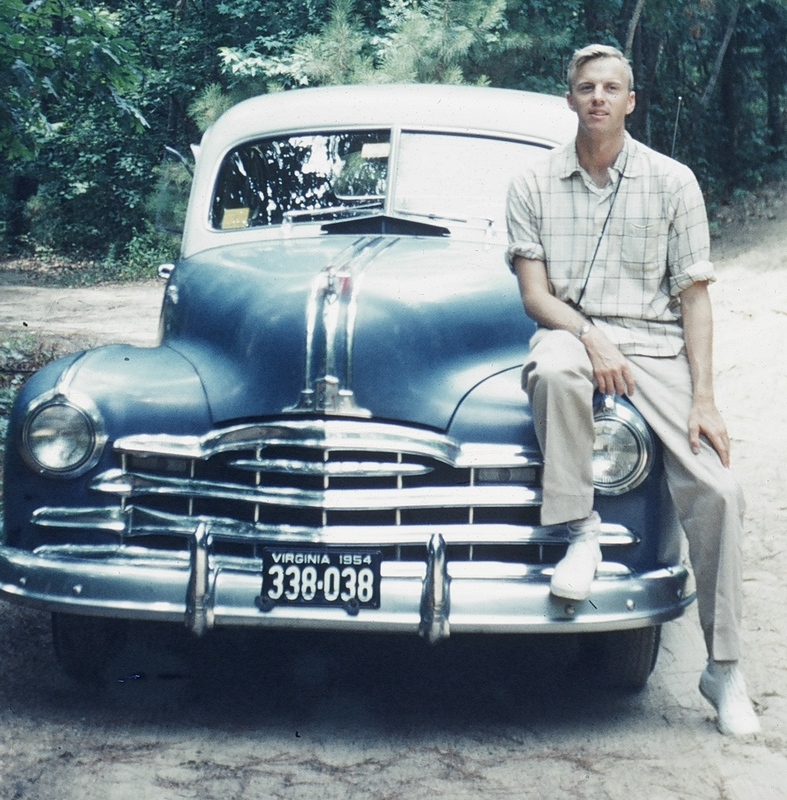 In 1978 he left NCAR with his family for the Dept. of Atmospheric Sciences at Oregon State University, where he was a research professor until taking early retirement in 1986. 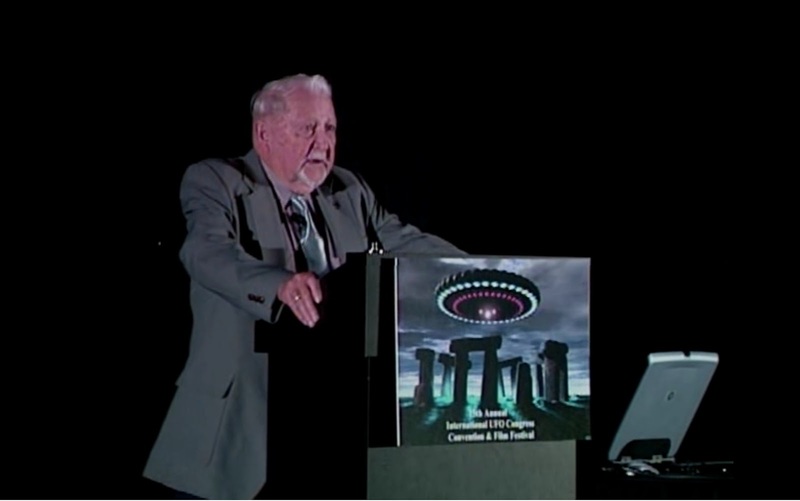 This freed up his time to pursue frontier topics such as the UFO phenomenon, which led to his further interest in biblical and reincarnation studies. He published numerous papers and books related to his research of these subjects. His work in these fields can be viewed at his principal website: www.tjresearch.info. His brother Don, sister Valerie, three daughters Ellen, Laila, Dana, grandchildren Michael and Kristine, survive him. Per his wishes there will be no memorial service.